Gold Embroidered Silk Brocade Brooch Collection. 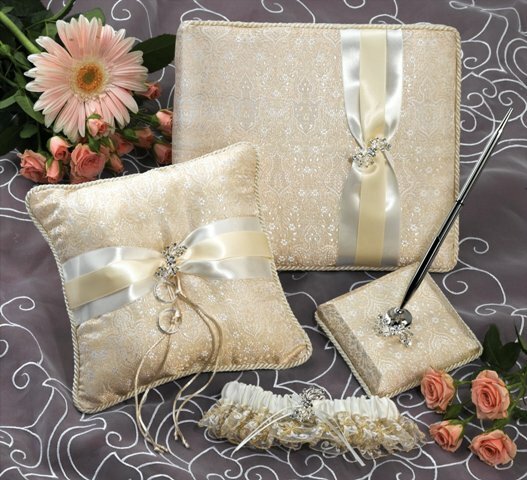 Includes Ring Pillow (RP440), Guest Book (GB740) Guest Pen (GP540) and Garter (G245IG/B). Items are available separately below.